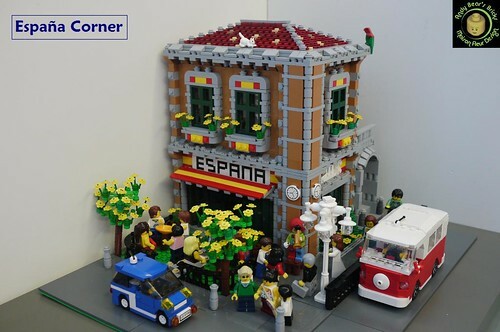 Brick Town Talk: Spanish Corner - LEGO Town, Architecture, Building Tips, Inspiration Ideas, and more! 01, originally uploaded by andybear@hk. A very nice, simple building with great colors and designs. The tree built with a bunch of flowers is a great idea and the dark tan just works perfectly with this build! I look forward to more! and would be delighted to have you participate. Indeed, and yes, I'll be glad to take a look at your site.